Co-lab Architecture was engaged to design a childcare centre on the roof of an existing multi-storey car park in Melbourne’s CBD. We helped our repeat clients, Kool Kidz, to rework their existing permit in order to accommodate 130 children. The space includes 1000sqm of outdoor play area with a spectacular view over Southern Cross station, the Observation Wheel and the Melbourne Convention Centre. Responding to strict rules regarding construction, we worked around the client’s desire to avoid expensive whole-building scaffolding by setting the structure back from the edge in order to scaffold internally. Furthermore we used a lightweight polystyrene sandwich panel, resulting in a well insulated and cost effective building. Taking into account the overshadowing by surrounding buildings, we included clerestory windows in all the main thoroughfares. 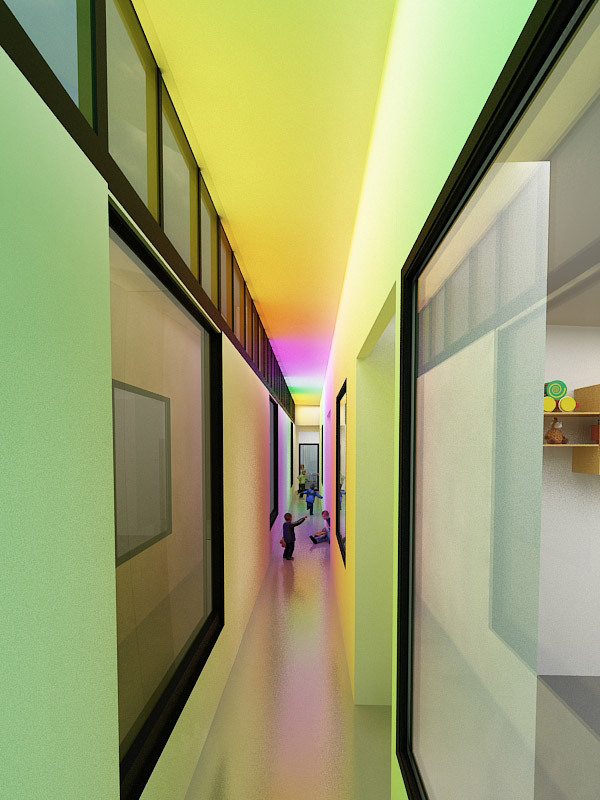 We then created interesting internal spaces of light and colour by using tinted glass. 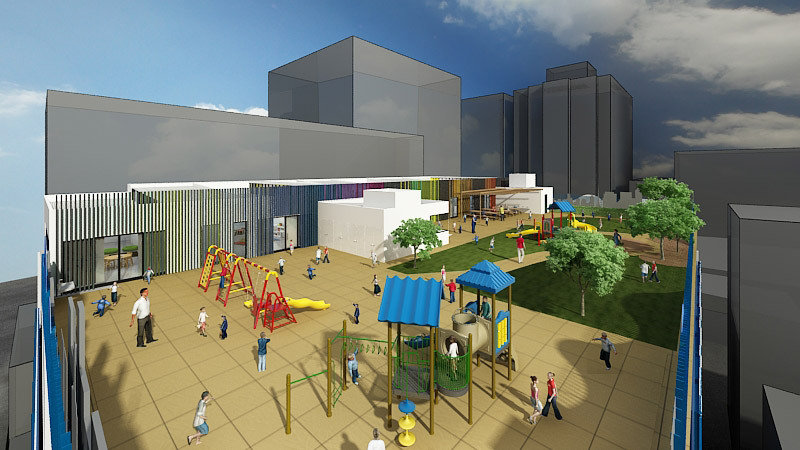 Demand for childcare facilities in the CBD is rising and our experience in adhering to stringent guidelines regarding childcare spaces, as well as our expertise in liaising with planning authorities, led to a welcoming and cost-effective space that took into account the needs of the client, the children and their carers.